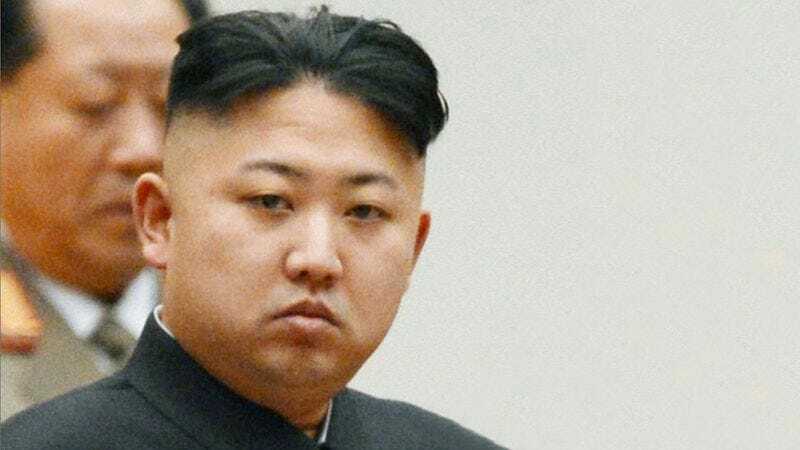 PYONGYANG—Amidst escalating tensions between North Korea and the global community, Supreme Leader Kim Jong-un expressed concern Tuesday that his ongoing threats of inciting a nuclear war are distracting him from the more fundamental goal of starving his citizens. “I know it’s important to focus on making bold and increasingly outlandish threats involving nuclear weapons, but at the same time, I’ve got millions of people out there who need to be starved, and isn’t that ultimately priority number one?” the North Korean dictator wondered aloud, adding that his obsession with eradicating the West in a hail of nuclear rockets may have caused him to “lose sight” of his main responsibility of allowing the nearly 25 million men, women, and children under his watch to starve to death. “Here I am working around the clock to expand our nuclear program so that our foes might feel the bitter sting of their arrogance, and, meanwhile, we haven’t had a proper famine in nearly 15 years. I think we can ultimately accomplish both goals, of course, but I just don’t want to take my foot off the pedal when it comes to nationwide malnutrition and hunger, because that’s our real bread and butter around here.” Kim added he was happy, however, with the job he’s done juggling insane, warmongering rhetoric with gross human rights abuses.